being little • bristol uk fashion & lifestyle blog. 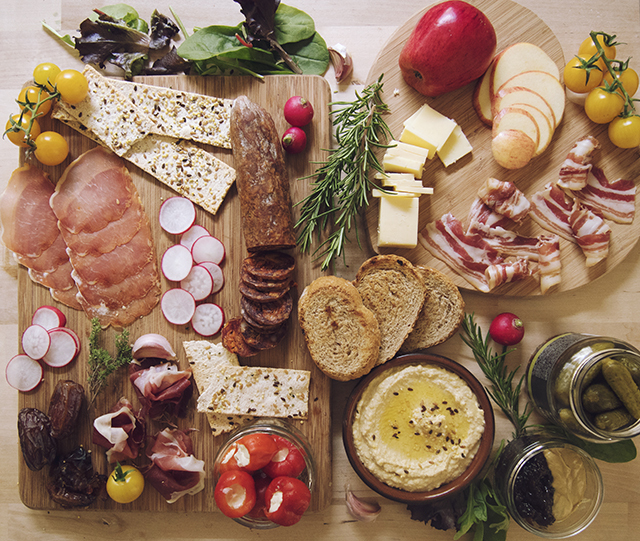 : how to build the perfect charcuterie platter. It's the perfect thing for an impromptu get-together, especially as it involves little to no cooking, is quick to prepare, and looks impressive. Everyone eats with their eyes too, so if something looks delicious, it really enhances the whole experience. 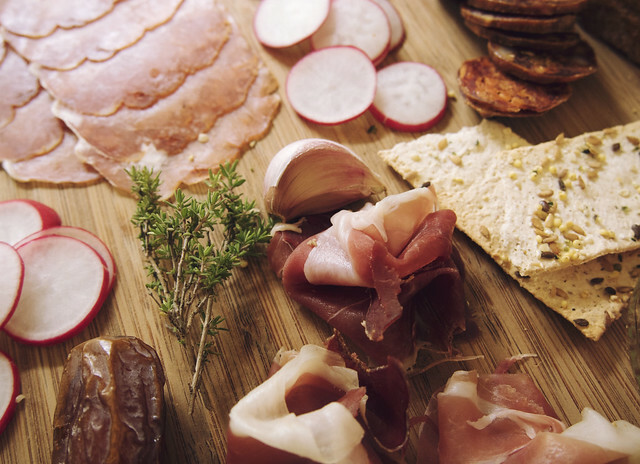 • GET A VARIETY OF GOOD QUALITY MEATS. 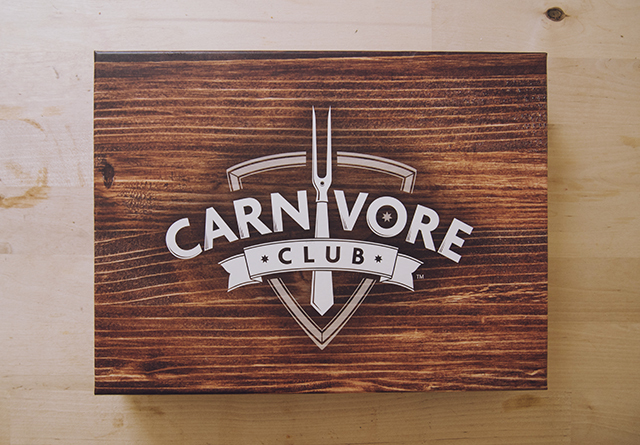 You can buy a one-off box if you don't fancy subscribing - which would also make a great gift for a meat lover! In the box you get a leaflet explaining all the different things you have, where it came from & the people who made it. I think every one of us who eats meat is guilty of having no real idea where it came from, so it was great to read about the process. If you want to pick up your own selection of meats, try your best to get the best quality, local, free range etc etc. 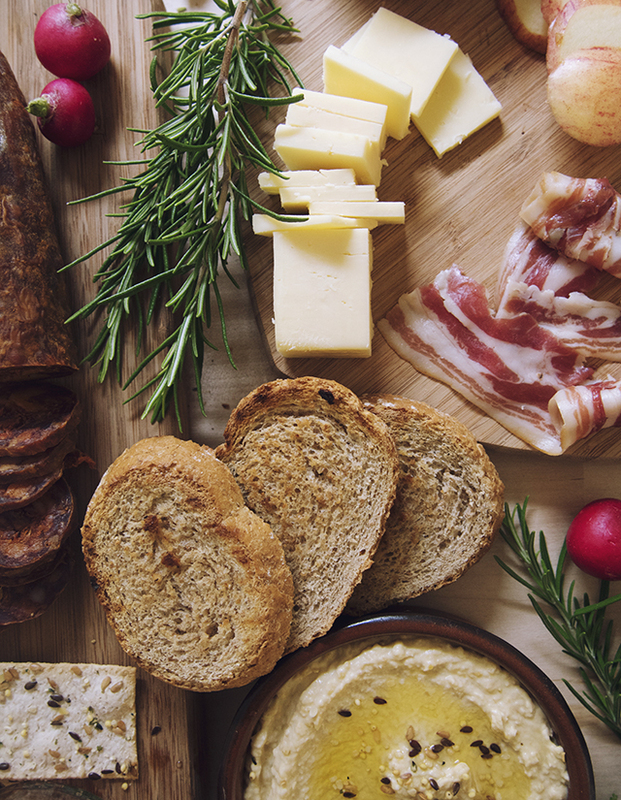 It's also good to get a range of different flavours and textures - wafer thin smoky prosciutto, chunks of spicy chorizo, slices of salami... you get the idea. • CHUCK SOME CHEESE ON THERE. 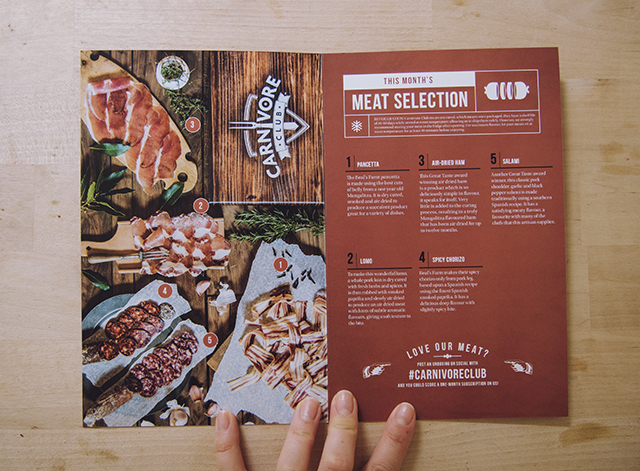 For the veggies, or those who don't like cured meats (...how?!) add a little cheese into the mix. A smooth smoked applewood, a goat's cheese or brie, or just keep it simple with a mature cheddar. 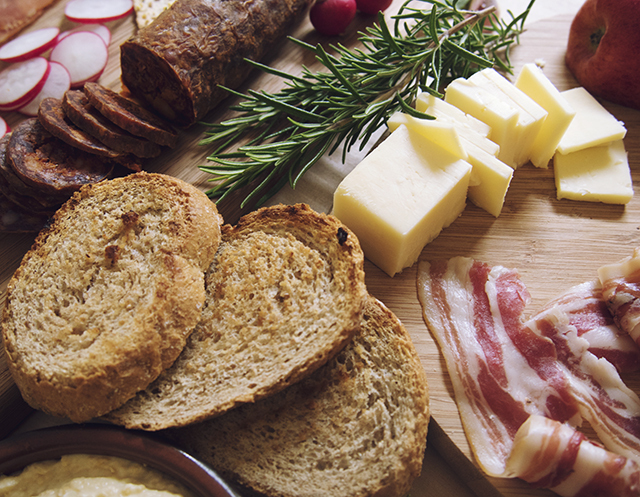 As much as I love it, it's probably best to steer away from the blue cheeses, as they don't often go with cured meats. Hummus, mustard, chutneys.. maybe a bit of pesto. A sweet jam or jelly would be lovely with all the savouries. Salad, veg & herbs. 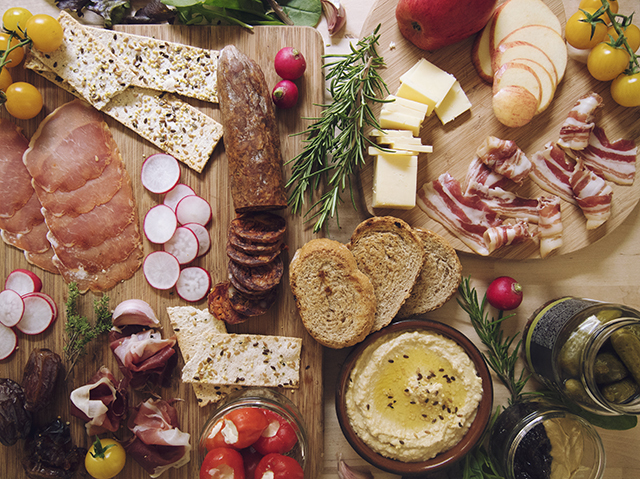 You need to balance out all that heavy meat and cheese! Make sure you have plenty of sweet peppers, cherry tomatoes, sliced radishes and apple to cut through the richness. Figs and dates are also great accompaniments, as well as a herby, leafy salad. • GET YOURSELF IN A PICKLE. Pickled garlic, pickled peppers, stuffed peppers, olives, gherkins... get a little selection, depending on what you fancy. • SOMETHING TO PILE IT ALL ONTO. We need a vessel on which to carry it from board to mouth (unless you're into shoving fistfuls of meat & hummus into your gob) - lightly toasted brown bread or seedy crackers are the best, in my opinion. • WASH IT ALL DOWN. 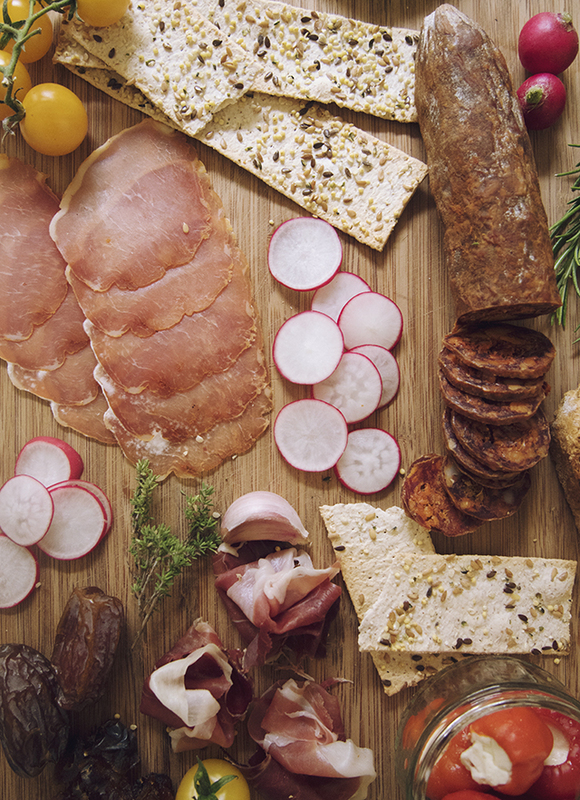 Depending on what meats & cheeses you choose, you can pair your drinks. For me personally, I'd like a crisp fizzy white, a tasty pale ale, or a fresh juice. So many options and exciting combinations to be made. That's the wonderful thing about meals like this - you can pick and choose exactly what you like. Wow, the photos in this are just drool-worthy - I love all that colour! I love sharing a big plate with friends / my boyfriend. So cosy!